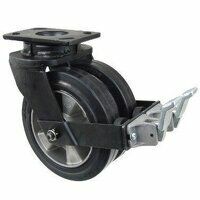 View our range of black painted steel housing double wheel castors. 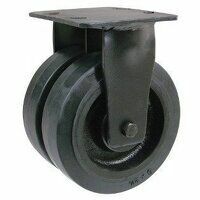 We have different castor materials including white nylon, brown polyurethane on cast iron, black painted cast iron and black elastic rubber on cast iron. 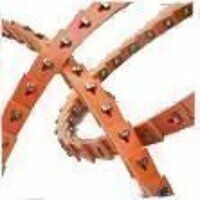 Please not pictures are not accurate.